Our automatic swing doors make the perfect entrance to your building, as they facilitate ease of access and save energy. The installations are fully compliant with EN16005 (formerly known as BS7036) and meet all requirements of the Disability Discrimination Act (DDA). Furthermore, as all our doors are bespoke products, they will always be an ideal fit for your intended location. The advanced HR100/CT sensors utilise unidirectional activation technology to ensure the door only opens when required, which will save on your heating bills and the planet by preventing heat from unnecessarily escaping the building. 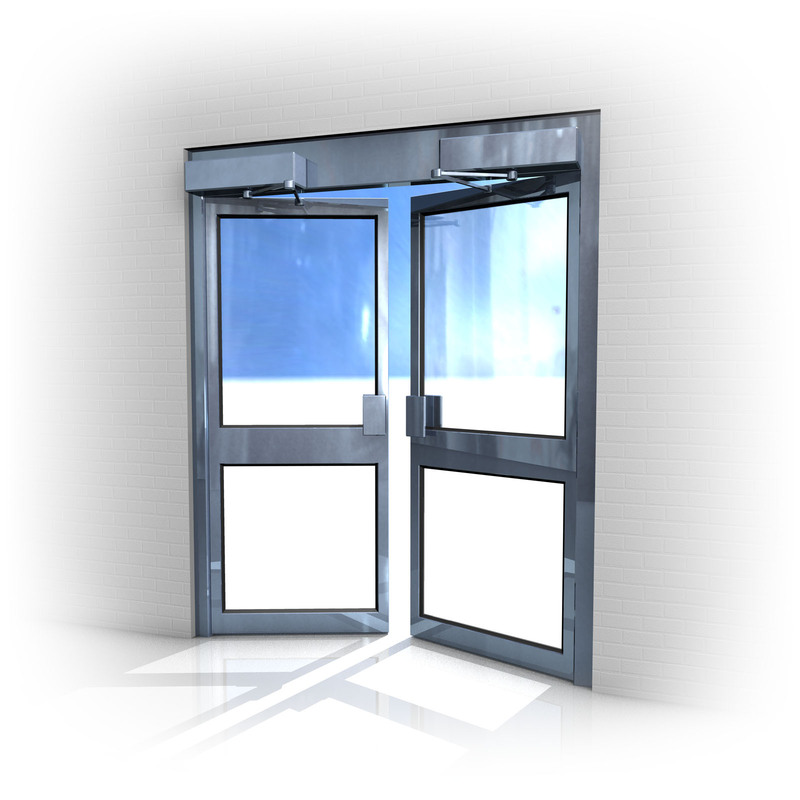 The door is also cost-effective due to the low number of moving parts, which reduces the expenditure on maintenance. The safety provided by this door is also impressive, as the door edge sensors prevent collisions with pedestrians. Specialised software also limits the force of the door, to ensure no injury would be caused to a vulnerable pedestrian, even if a collision was to occur. We provide made to measure doors suitable for both internal and external openings and as neither of these require a run off point, this door is ideal for maximising the size of an opening within the space available. Both are available in single or double opening variations, with aluminium frames or frameless glass Foldages, so you can be certain you have got the exact door that you want.